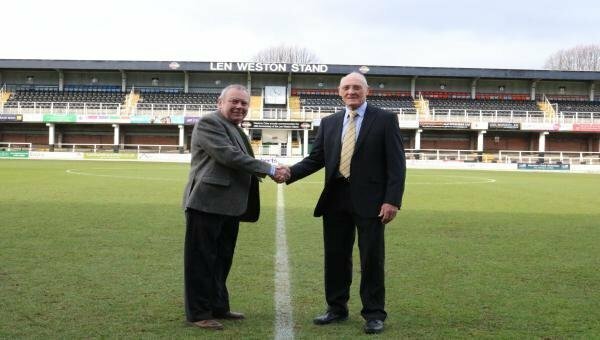 Hereford Football Club has signed an agreement with Herefordshire Council (dated 19 December 2017), which will secure the clubâ€™s tenancy at the Edgar Street stadium for a further 10 years. The extended lease - which can be triggered by the club - will allow for future development of the clubâ€™s stadium as part of a wider area that is set to further improve following the opening of the Old Market shopping development and the construction of the new City Link Road. The proposed â€˜Urban Villageâ€™ project, part of the Hereford 2020 Edgar Street regeneration, could potentially mean a new stand and associated facilities to return the ground to a four-sided stadium, as well as more retail outlets nearby. â€œFollowing the league success of Hereford FC, and to enable them to plan, invest and satisfy the requirements of the Football Association, Herefordshire Council will grant the club a 10 year lease extension, which they can take up at any time before July 2020.